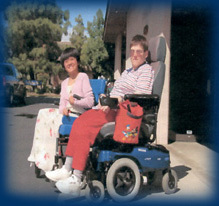 EII is a ONE-STOP RESOURCE CENTER for Asian and minorities with disabilities and their family members. An agency work to empower persons with disabilities to maximize their participation and interaction in the community, and enable individuals to take direction of their own lives. EII offered access assistance to health, social and vocational services, including interpretation/translation services in the Southeast Asian languages. webmaster Copyright © 2003 BayTel, All rights reserved.